Located 1,000km off the coast of Ecuador, the Galapagos Islands is likely a place you’ve heard of but know very little about. In fact, many people have no idea of how to locate it on a map. For others, it’s a faraway destination that was made famous by Charles Darwin and his adventures on-board the HMS Beagle. But Whereabouts Holidays wants to change all that. As a fairly unknown entity, we want to let you know why we think it is the ultimate place to add to your must-visit list. 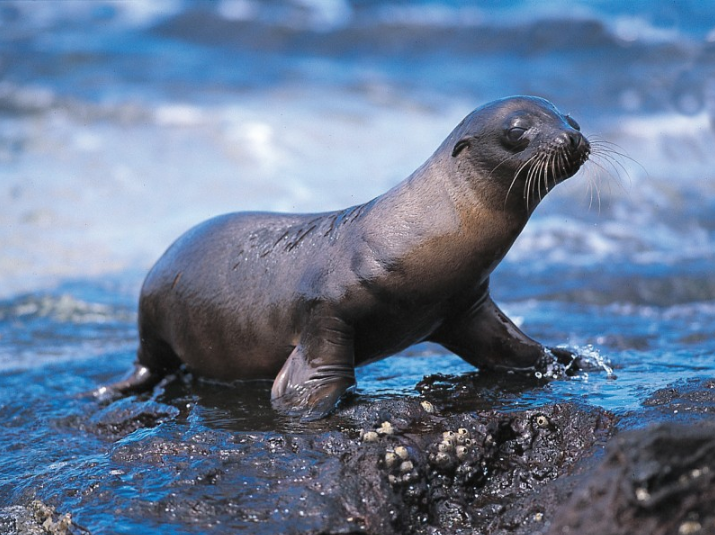 From rare animals to breath-taking scenery, the Galapagos Islands have everything you could ever dream of. With the Galapagos Islands being so close to the equator, there is not a ‘best’ month to aim for when booking holidays to Galapagos. However, there are two different seasons that might affect when you would like to travel. December to June is known as the hot season, when humidity reaches its highest levels and the average temperature is well into the high 20s°C. You will get the odd shower at this time of year, but as a rule, it’s seriously hot! If sticky, hot weather isn’t your idea of a good time, we suggest you give this time of the year a swerve. For a slightly cooler time on your holidays to Galapagos, you want to be visiting from June to November. The winds are a little fresher and with them often comes misty-type drizzle. Temperatures are still nice enough in the low twenties but can drop a little lower at night. It’s important to remember this is on the equator, so it will be scorching most of the time. What Will I See If I Holiday in Galapagos? The Galapagos Islands are famed for their wildlife and although we can’t guarantee you’ll see all of it on your trip, you’ll almost certainly get to see a different kind of wildlife than you are used to at home. Many species are found here and nowhere else on planet Earth. From the Galapagos Albatross (renowned for their strong bonds with their partners) to the comically named blue-footed booby bird (we’ll just leave that one alone). It’s not just the colours of the scenery that will take your breath away in the Galapagos, it’s the sights and sounds that you’ll see in flight or crawling and scampering around the islands. As for the sea, keep your eyes peeled for some fantastic creatures of the underwater world. The Galapagos Fur Seal is a sight to behold as they duck and dive in the water, while the Galapagos penguins always seem keen to pose for a nice photo (since they haven’t evolved enough to take a selfie). When is the best time to see the wildlife? Depending on the kind of species that you want to spot during your time in the Galapagos Islands, there are certain times of the year to catch a glimpse of exactly what you were hoping for. January, for instance, is when the land birds start to nest and the Española Island adult marine iguanas become brightly coloured in green, red and black. It’s also the time of the year that the green sea turtles come to shore to lay their eggs. March is the perfect time to catch the albatross. The last fortnight in the month signals the beginning of the summer equinox and the time that the waved albatross land in Española. April is hatching season, so you’ll have a great chance to see the very first minutes of some of the newborn giant tortoises, green sea turtles and land iguanas. The blue-footed boobies begin their courtship in May while sea turtles are still hatching on Gardner Bay, Punta Cormorant and Puerto Egas, along with further marine iguanas hatching. Fast forward to June and you’ll catch the giant tortoises on Santa Cruz Island beginning their migration from the highlands to the lowlands in search of suitable nesting places, while July is all about breeding for the seabirds. August is when the migrant shore birds start to arrive and won’t leave until around March, while September really is the time to see the Galapagos Penguins. They show remarkable levels of activity on Bartolome, and snorkelers are very often amazed at how active they are on both the surface and under the water. If the latter parts of the year are when you’d like to visit the Galapagos Islands then you are in for a treat. Pupping of the sea lions continues in November and some species of jellyfish can be seen floating around the island. As for December, the hatching of the giant tortoise eggs begins and lasts until April, while the green sea turtles begin their mating behaviour. Before you know it, you’ll be feeling like Charles Darwin yourself! In terms of the length of your trip to the Galapagos Islands, we always recommend giving yourself at least a week to explore. 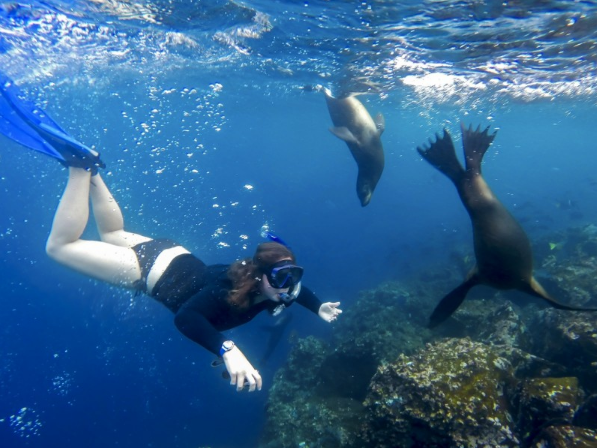 That allows you to get a real feel for each island’s different character and properly immerse yourself in everything that the Galapagos has to offer. To help you plan the trip of a lifetime, we now offer two enthralling cruise trips to the Galapagos Islands. The first is a six-night tour to the Eastern Galapagos with the other an eight-night holiday around the North and West Galapagos Islands. Why Should I Travel With Whereabouts? Well, the answer is simply that we let you explore the Galapagos Islands from the comfort of the Galapagos cruise boat – the Santa Cruz II. Each guest room onboard has all the luxury amenities you would expect including air conditioning, in-room safe, and the best part; the beautiful picture window that lets you take in all the scenery. However, if you are looking for something special, the Darwin Suites on the Panorama Deck really do give you that touch of class. L’Occitane-en-Provence products and big fluffy bathrobes come as standard, as does free internet access. Did we mention the large picture window to make sure you never miss a moment of the journey? Get ready to holiday in Galapagos. Get in touch with our team of travel experts who’ll give you all the help and advice you need to book your dream holiday.